It’s less than a month to Christmas Day! I don’t know what it’s like where you are, but my hubby couldn’t even get into the carpark at our local shopping centre the other day. It’s crazy town. I avoid it like the plague and prefer to shop online. I don’t need the stress! Here are some gift ideas to inspire you if you fancy a spot of online shopping for your gifts this year. Get in your pyjamas, grab a cup of tea or wine and have a relaxing browse! Our whole family loves the Shakti Mat! It’s the perfect thing to buy someone who has back or muscle problems or for the person who needs some relaxation. The Shakti Mat is an acupressure mat with a cotton cover and plastic spikes that work on your body’s acupressure points. You can stand on it, put it under your neck, under your back or under your legs. Some people even do their yoga poses on it! The ideas is that it not only relaxes you, it boosts circulation, calms down the nervous system and releases endorphins. Benefits can include pain relief, better sleep, more energy and less stress. Who wouldn’t want that for Christmas??? Get it online here. 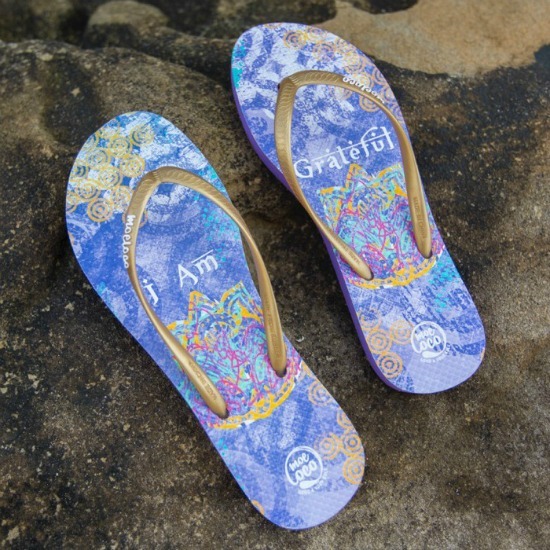 Kathy Wong from Moeloco sells very cool inspirational thongs (or fit flops!) that give back to those in need. The thongs come in various sizes and designs for men, women and children. 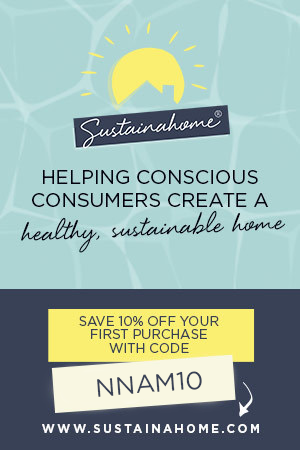 They are ethically made using quality hard-wearing rubber and are packaged in a reusable bag. As you walk in the sand at the beach, the thongs leave behind an inspirational message so you can spread good vibes and love wherever you go. For every pair of thongs sold, Kathy donates a pair of school shoes to a child living in poverty. I love that! Get them online here with free shipping. 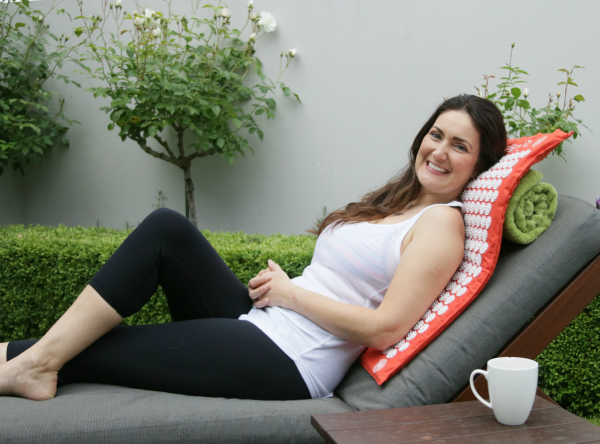 I lovingly call my friend Micheline, ‘The Bone Broth Goddess’, because… she is! 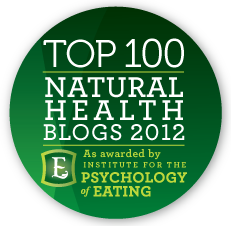 Mich is the founder and former owner of Broth of Life. She has been making and using broth for healing and teaching others how to do it for many years. Now you can take advantage of her knowledge with her new book, Bone Broth Basics. 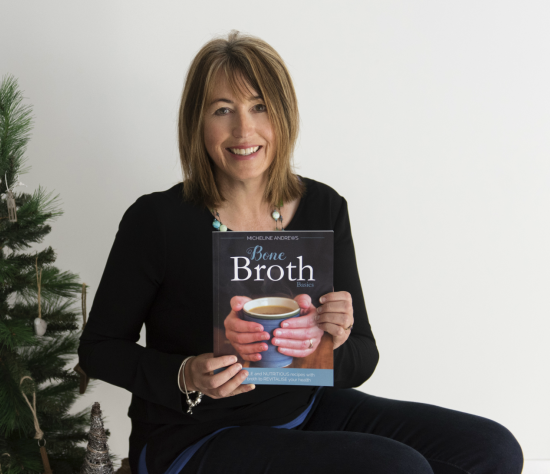 You will find loads of information about broth, how to make it and 40 easy recipes to incorporate broth into your family meals. Broth is a nourishing cheap food you can make to improve your family’s immunity, gut health and overall good health. Get it from Mich here. 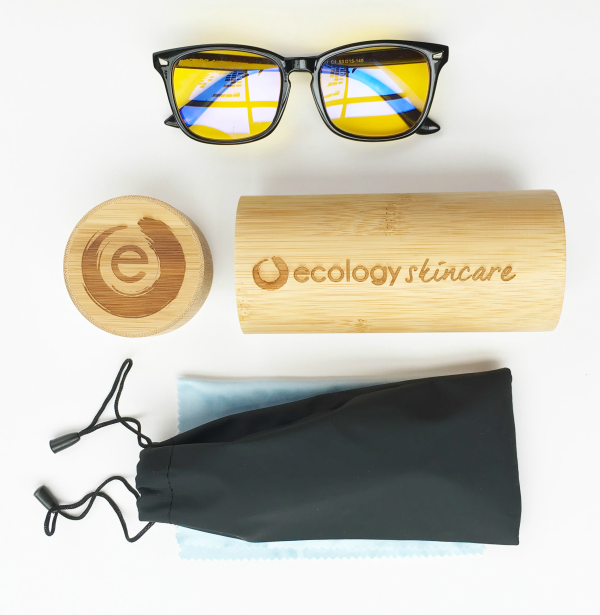 Crystal from Ecology Skincare got these Blue Blocker Glasses in store and I thought they would make an awesome Christmas gift. When we sit in front of the computer, watch TV or scroll through our smartphones at night, the blue light from these screens continually stimulates the hormones that keep us wide awake. This blue light also prevents melatonin (our primary sleepy-time and anti-ageing hormone) from being released. So, by blocking the stimulating effects of blue light from devices at night time, you can get a better night sleep! Just pop them on when the sun goes down and see what a difference it makes. The glasses come ready for gifting in a little pouch and bamboo case. Crystal is also kindly giving you all a free Beauty Sleep Mask with every pair of Blue Blocker Glasses! Just use the code: NNAM here. What’s in the box? I have no idea! That’s the fun bit. 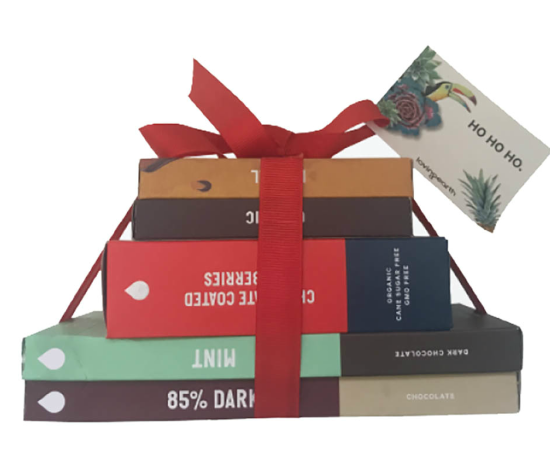 Gorgeous mum, Amanda from the Gold Coast, has recently launched her unique gift box business, Joyou Gifts and I think it’s so cool. You can buy a Joyou Gift box as a one-off gift or as a monthly subscription so your family and friends get a surprise every month! 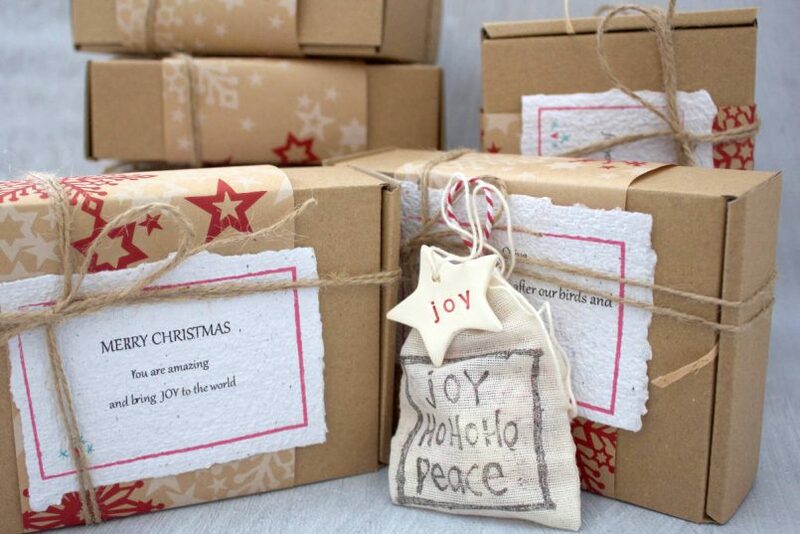 The Christmas Gift box is selling now and can be posted worldwide. So what’s in it? Amanda carefully selects an ethical, eco-friendly, vegan, hand-made piece of art or organic product for each box. The boxes are an opportunity to discover and support Australian artists. No two months are ever the same and these are gifts you will never find in chain stores or mass produced. They truly are unique gifts of JOY. Find Joyou Gifts on Facebook or at the website here. This is something so special. Pure, organic skincare made just for you!! 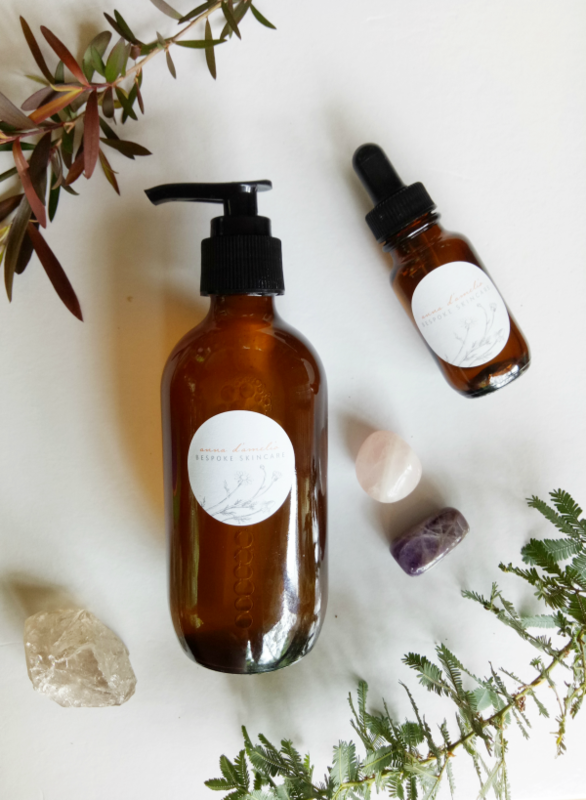 Anna D’Amelio is a very talented mum from Melbourne, with over ten years spent creating natural skincare and running workshops. Now Anna is using her talent, knowledge and her intuition to create Bespoke Skincare products. We are all so different and unique and skincare is an incredibly personal thing as it’s always changing and is affected by so many factors. Anna works with you to create the perfect product for your skin using the purest organic ingredients and a beautiful intuitive process. Your personal blend will be stored on file so you are able to purchase a refill at any time. Get it here from Anna and send her an email if you want to buy it as a gift. A veggie garden can be a big commitment, but a windowsill garden is much more manageable and a great place to start. 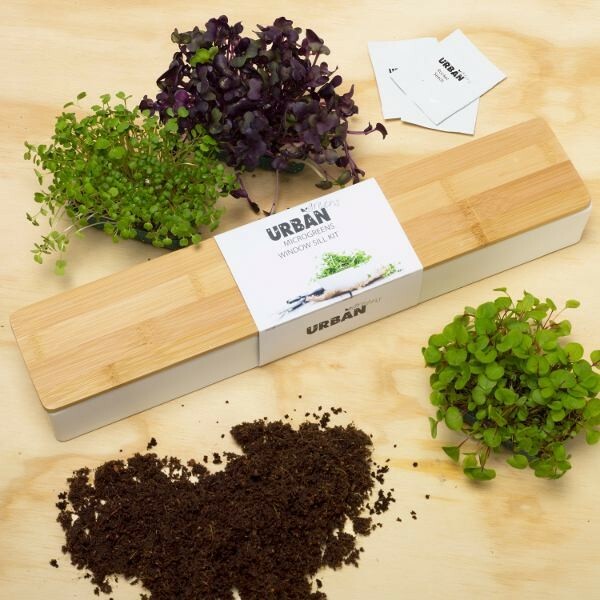 This kit has everything you need – a super stylish porcelain box with bamboo lid and drip tray, organic soil mix, Aussie micro-green seeds and full instructions. 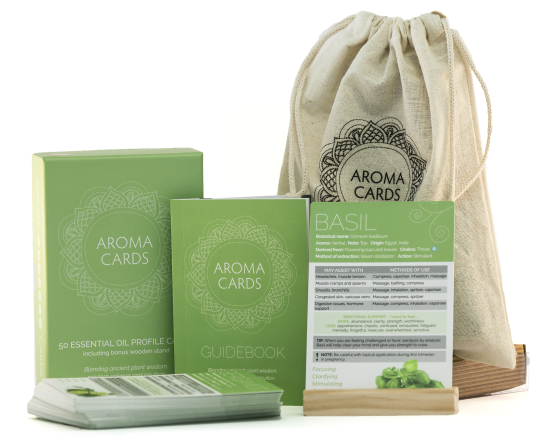 Just released from Sunshine Coast aromatherapist, Kim Morrison, these aroma cards are the perfect gift for the oil lover! There are fifty cards with essential oil profiles and an intuitive message on each. As well as learning about each oil, you can also use the deck for guidance as to what oil your body needs. 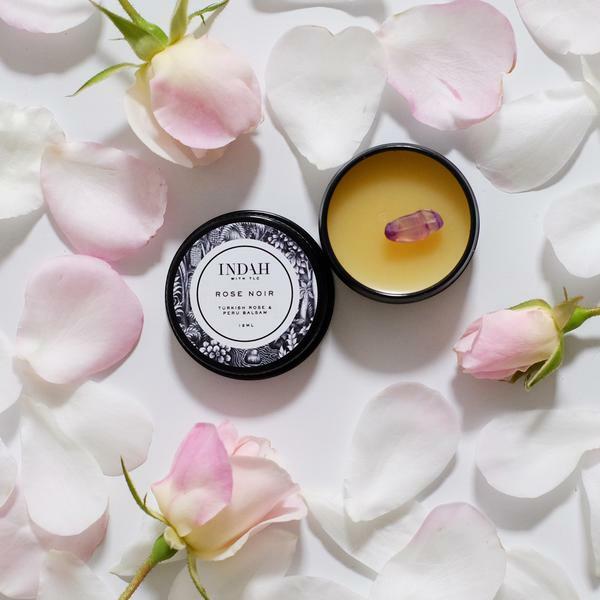 This perfume balm from Aussie natural skincare range, Indah, has exotic essential oils of Turkish Rose and Peru Balsam. 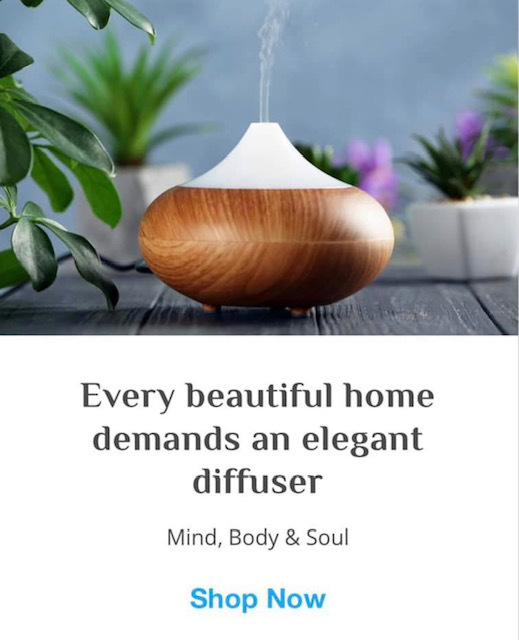 Beautifully packaged with a surprise crystal in each pot, it’s designed to be lightly rubbed into your pulse points. $5 from each sale is donated to Indonesian charity, Borneo Orangutan Survival. This electric yoghurt maker has been designed to culture yoghurt at low temperatures so that the lactose is reduced and the live enzymes remain intact. It’s brilliant for anyone following the GAPS or SCD diet protocols because you can culture your choice of milk for 24 hours or longer. 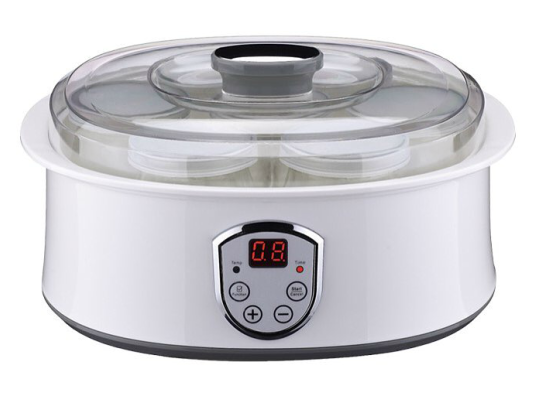 It comes with seven glass jars and is easy to use with a timer, auto shut off and digital display. 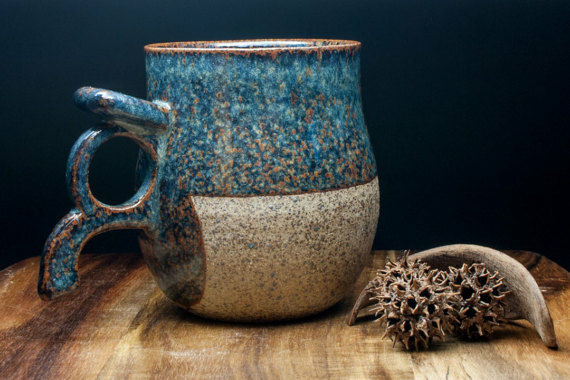 Hand-made by Brisbane artist, Naomi, these Viking Mugs are inspired by an archaeological find on the island of Gotland, Sweden, that was dated to about 1000 years ago. So cool!!! Naomi makes them in a range of sizes and colours and she will even personalise them with a name too. Check them out here. 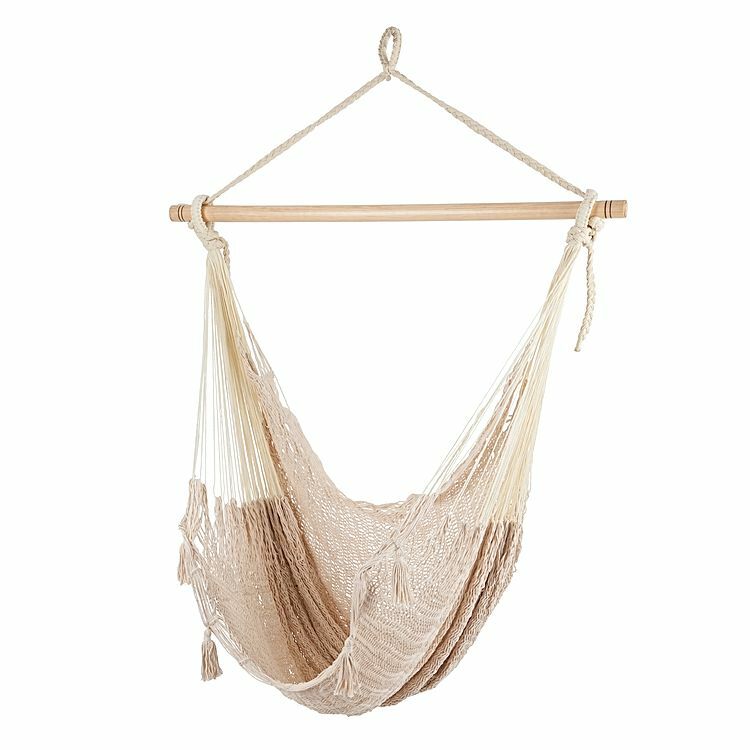 This hammock chair is woven from 100% cotton by Mexican artisans, supporting Fair Trade and the development of small communities. It’s got a high 1.5 metre back so you can get really comfy and chilled. It comes in a range of fun colours and designs but I love this natural look. 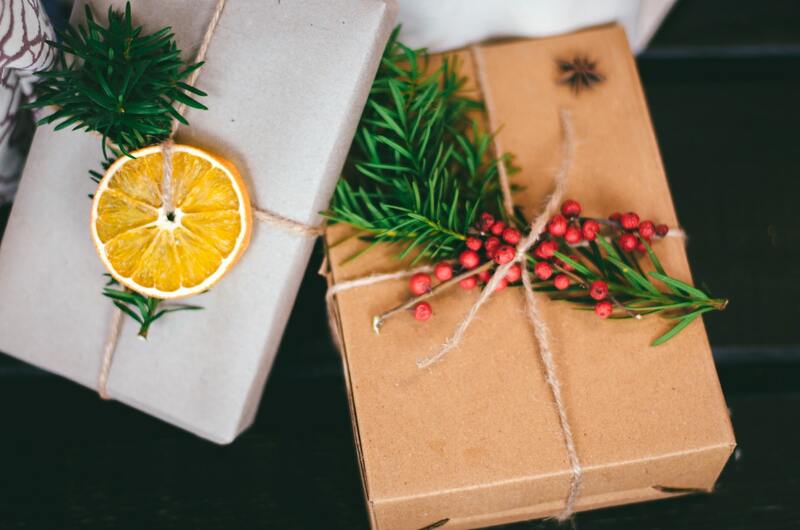 Experiences are the ideal zero-waste, eco-friendly gift. 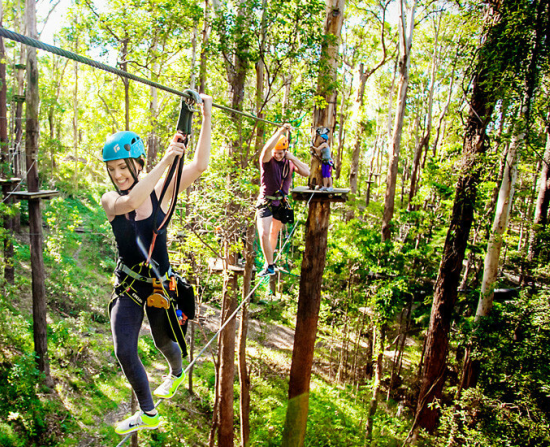 Adrenaline have vouchers available online for heaps of different activities around the country. You can choose sailing, bike rides, horse rides and hot air ballooning as well as more extreme fun like jet boating and sky diving. I love the tree top adventures as a great family gift that involves nature, fresh air, movement and time spent together having fun. Midsummer Star have a beautiful range of sterling silver and crystal jewellery at affordable prices. 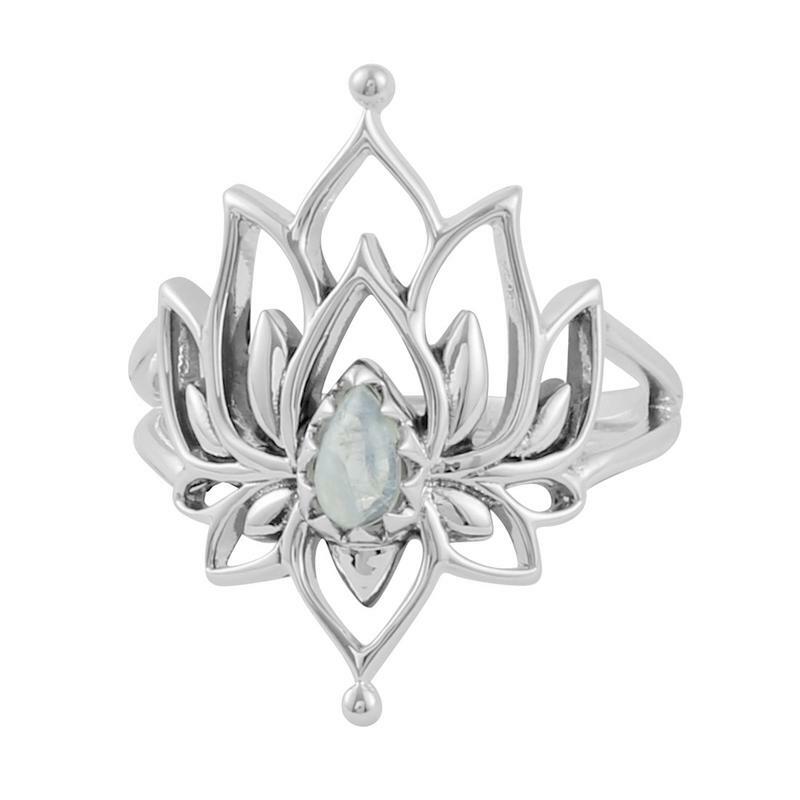 I really love this Lotus and Moonstone ring. 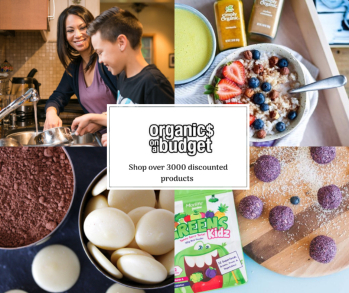 Hot tip: Check out the sale category for some great bargains. 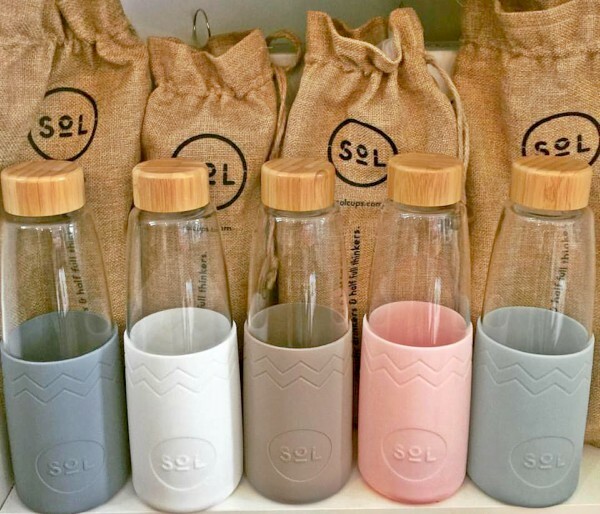 These new Sol glass bottles are so pretty! They are a big 750ml size and are made from glass with a silicone sleeve and bamboo lid. The glass is extremely durable as it contains a high percentage of borosilicate, making it strong, lightweight and 100% chemical free. 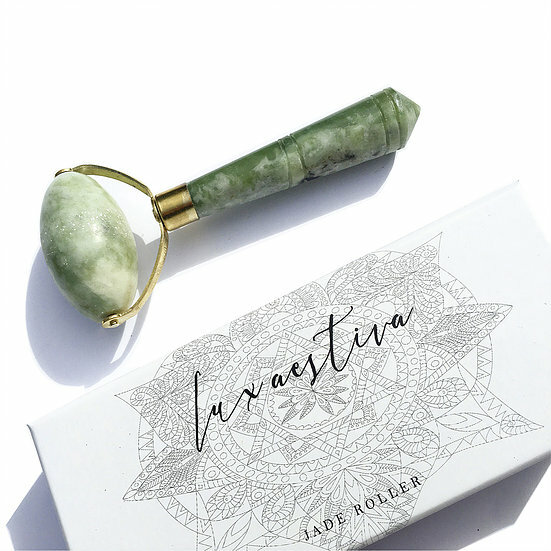 This jade crystal face roller is a traditional Chinese anti-wrinkle and anti-ageing beauty tool has been used for thousands of years. Keep it in the fridge and use it on freshly cleaned skin by itself or with a face oil. It helps to clear fluids, boost circulation, improve elasticity, boost cell renewal and improve the lymphatic system. Sounds good huh? Check it out here. 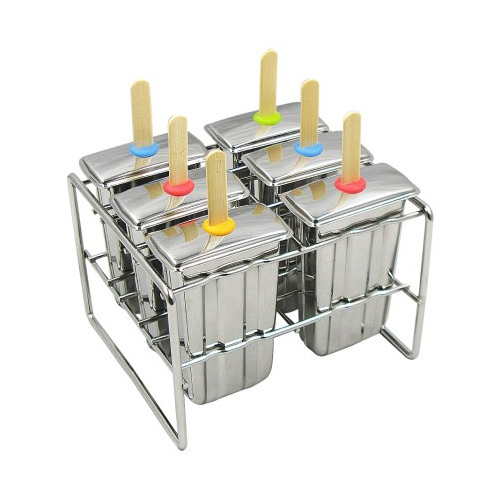 This safe and durable stainless steel kit is perfect for making your own healthy iceblocks or paddle pops over summer. Each set comes with a stand, six moulds, six wooden sticks and silicone rings (these hold the sticks in place for the perfect icebock). These will last for ever and save you a fortune buying iceblocks! I am such a huge fan of Brisbane illustrator and artist, Kate Knapp. Her Twigseed range is designed to inspire and uplift in a whimsical way. 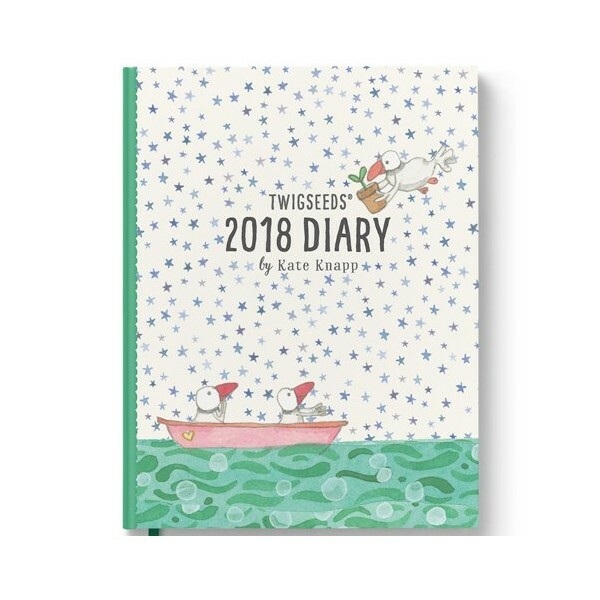 Made from eco-friendly matte paper and printed with vegetable based inks, it contains daily affirmations and gorgeous illustrations of the Twigseed characters. This is something very stunning! 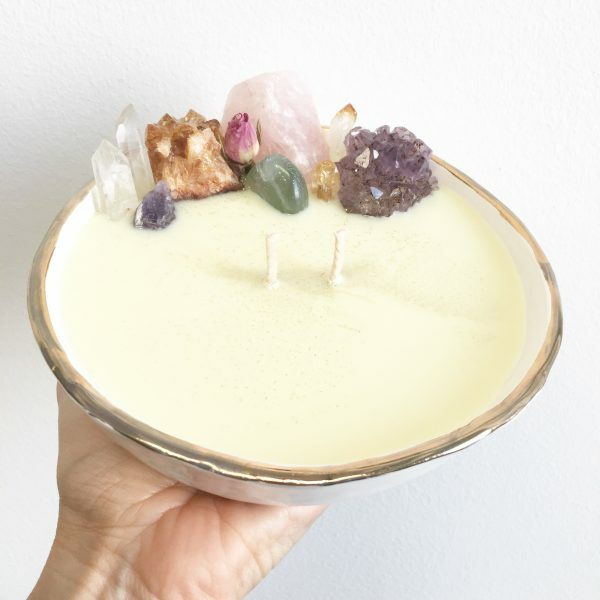 A beautifully hand-made ceramic bowl, lined with gold edging, hand-poured, soy wax mixed with lush pure essential oils and topped with crystals and rosebuds. Jasmin from Lemon Canary on the Gold Coast makes these with a lot of good vibes and attention to detail. Inspired by love and the divine feminine, it has been set with intentions of happiness, love, sexuality, divinity, clarity, intuition and enlightenment. Presented in a gift box and beautifully packaged, this candle bowl is something else! Find it here. What, you thought I was going to have a gift guide without chocolate?? It’s such a good old standby gift isn’t it? You can make it a bit healthier and a bit more special with this Loving Earth pack. Loving Earth chocolates are fair trade, organic, gluten free and use compostable, recyclable packaging. Get it here. Great selection as always, Sonia – thanks!! How inventive are the Blue Blocker glasses, love to hear from anyone who has tried them and if they made a difference. I’ve been using them for a bit but I have other issues that give me insomnia so I am not a very good case study! !